Are you ready to submit your medical research paper for publication? Medical editing services at Cognibrain is done by the editors specialized in different therapeutic areas with high technical and language proficiency skills. Editing a research paper is an art, requiring technical and language proficiency. Conducting a research might seem a cumbersome task. But when you need to document its results, the task seems more daunting! Moreover, if your manuscript communicates your research study poorly, it will be rejected by the publishing journal. However relevant or critical your research might be, if it’s not communicated properly, it doesn’t serve its purpose. Do you have a perfectly written research paper? Is your paper free from all linguistic errors? Are you ready to submit your medical paper for publication? If no, getting an immediate solution is easy! What you need is a competent medical editing services. In short, you must edit and proofread your medical manuscript before submission. Oops! You are not a language expert? 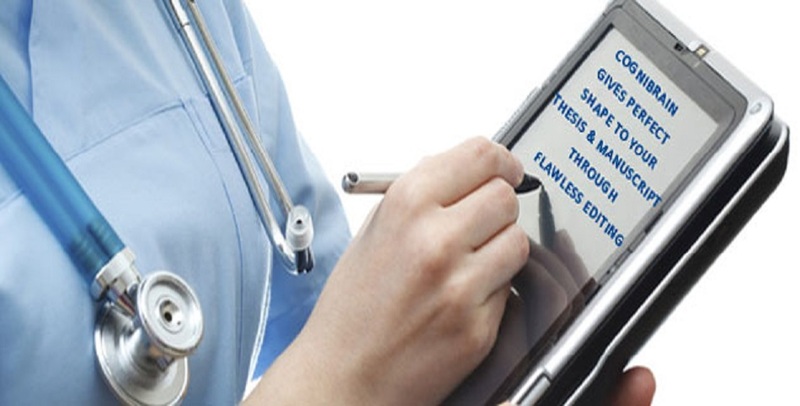 Take help from our professional medical editing and proofreading experts. How medical editing services improve your chance of manuscript publication? The biggest hurdle one has to cross to get his medical manuscript published is to write in conformation to the journal style. This requires flipping through numerous pages of author instructions, re-writing, and re-structuring your paper to meet the journal requirements. Initially, the scientific authors were supported in this task by the journals. But, now, the responsibility of medical editing lies entirely upon the author. But, is this editing worth it? Yes, editing of your medical manuscript is absolutely essential to clear all the grammatical and language errors, which no doubt always occur. But, is that sufficient? Does your manuscript clearly state the hypothesis and its objectives? Are the results clearly stated or have any unnecessary detail? Is your manuscript free from repetition of facts? Is the information in each section clear, precise, and organized? So, yes, medical editing services can definitely improve your manuscript entirely, giving it a new and better direction. CogniBrain is renowned for its experienced and certified medical editors who offer top-notch medical manuscript editing services in the required domain. Medical editing is way beyond grammar, punctuation, and vocabulary. It requires a unique blend of scientific knowledge and language expertise to make your research communication appeal the journal editors. Our clients have discovered something unique about our medical editing services. As a medical editing company, we offer substantive editing, copy editing, editing of research paper, medical manuscript editing, formatting of references, validating the facts or GAP analysis, document glossary, scientific and English proof-reading, camera-ready and power-point formatting.